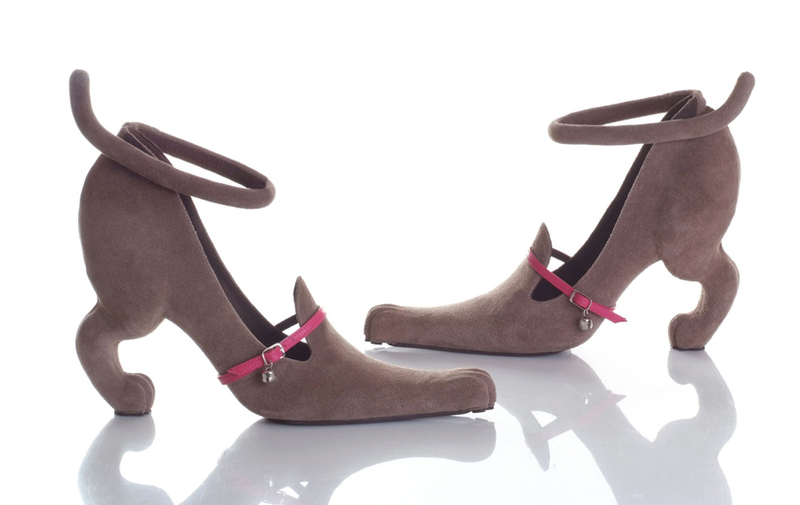 Check out these adorable heels from Streetzie’s High Heel Bunny Slippers ! It’s like wearing a stuffed bunny on your feet. 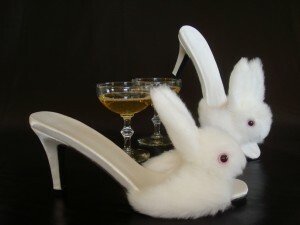 It’s like wearing bunny slippers, but only high heel. It’s like having a furry friend cuddle your toes. You get the idea… They come in 4 colors of powder blue, black , white and of course, PINK! I had to order a pair to go with my hello kitty ensembles (because you can never have enough pinky cuteness). They are actually very comfy and the heels aren’t hoochie high, so that’s good. 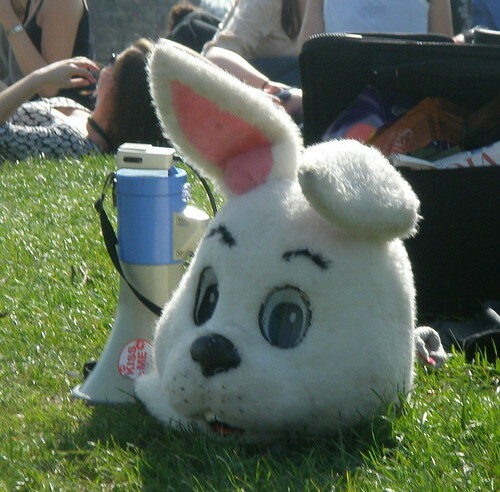 And no bunnies were harmed in making these, although somewhere a 3 year old girl is weeping about her beheaded stuffed bunnies. So, if you see a crazy lady in a hello kitty skirt, unicorn necklace, bows in in her hair and pink bunny high heel slippers chances are it’s me. Be sure to say hi. That’s me modeling in Vivienne Westwood shoes and a lipstick knife I picked up at some gun convention. Seriously, I don’t know why I was at a gun convention because I don’t even own a gun. Funny how I ended in random places during my youth! Anyway, that lipstick knife used to go with me everywhere in my pocketbook to ward off any loonies or criminal types. I somehow wish it would have warded off bad boyfriends, but it seemed to attract them more than anything! Anywho, I still have it, but choose mace over my weapon of choice these days. Going back to those heels, I do like how the lipstick looks bloody… I shall save my pennies for it! She’s Choppin’ brocc-o-li ….on shoes. 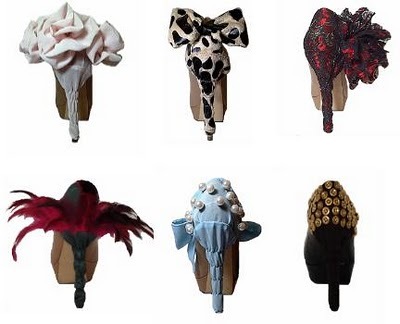 Shoe designer Benoit Méléard has worked with Alexander McQueen, Jeremy Scott and Helmut Lang in the past. 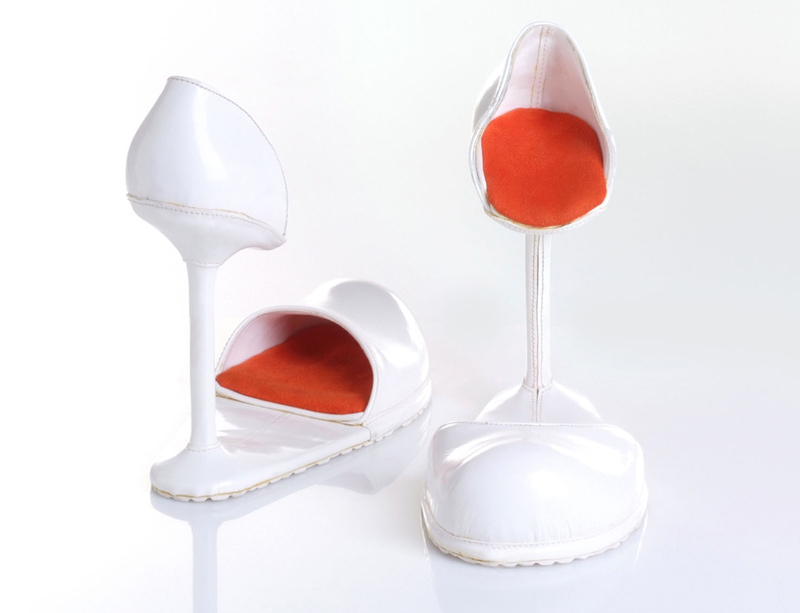 Next month, he will be releasing a line shoes fit for that any drag queen or working geisha. No. Only two of his shoes from the collection look like that. The rest are pretty much normal, except for a strangely placed strap or two- which reminds me of the time wear I had to use medical tape found in my car’s first aid kit to save a broken sole. It was white tape, so it looked so odd on one pair of shoe, so I had to put it on the other shoe to make it look uniform. Mending things the ghetto way is almost second nature to me. Take for example the time the handle of my purse broke and I used a paperclip to refasten it- (it broke again moments later). Just call me the MacGruber of Fashion. 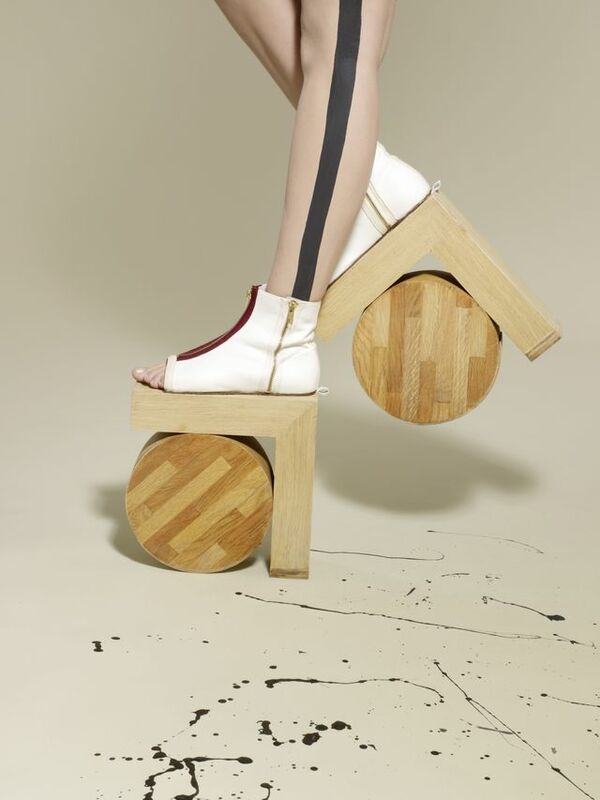 Anywho, those wood circle heels could totally double as chopping boards…Choppin’ brocc-o-li! 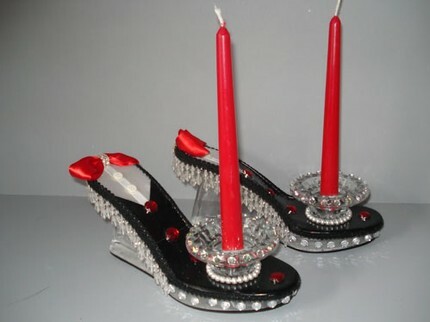 Check out these spiny, bony heels by DSquared ! 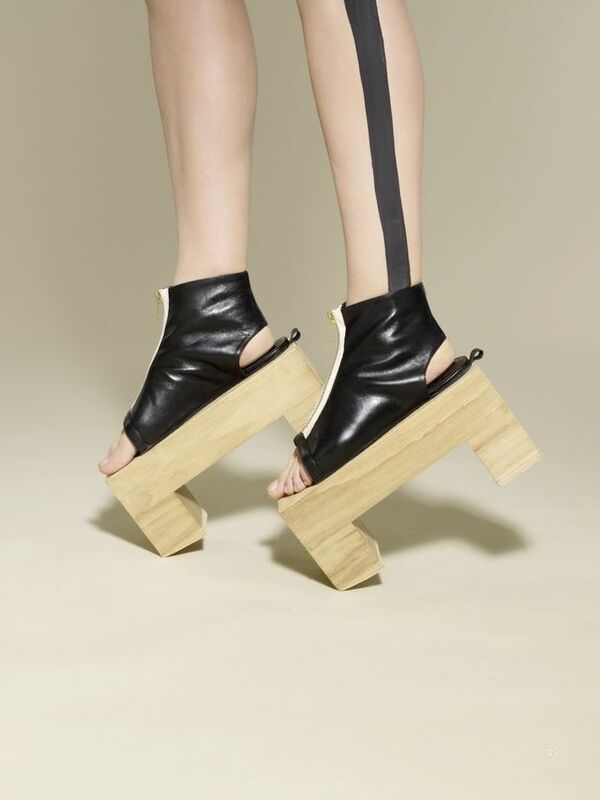 This charters into Alexander McQueen territory. I think the black shoe and white heel makes it look weird… I think it would be cooler if it was all bone color or all black or all gold. Actually, gold would be pimpin’! This is when the ghetto in me comes out. I love gold and I don’t care what anyone says! Who cares if gold looks like you just picked it up from the corner pawn shop? 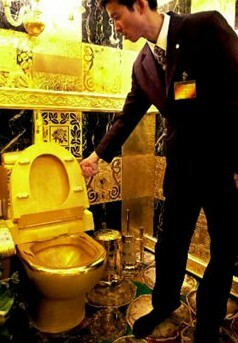 Or if it looks like it belongs on an Arab sheikh’s toilet? It’s gold, right? There was a time when I didn’t like gold, then Flava Fav happened to me. Fight the Power! Etsy is one of my favorite sites to look for cool stuff, however, sometimes I run into effed up stuff like this. Luckily, that’s what my blog thrives on! 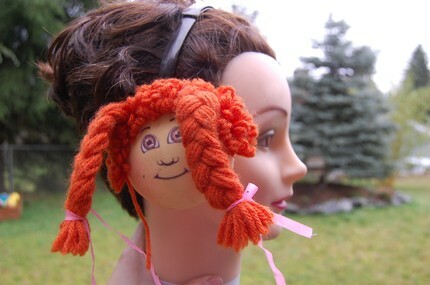 So, if you ever wanted Cabbage Patch Ear Muffs, here they are. 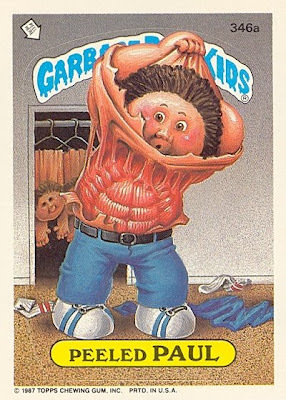 They should make a Garbage Pail Kids version. I used to collect those cards when I was a kid. I would buy several at a time and shove all the gum in my mouth. My favorite card was Acne Amy and Peeled Paul. Yeah, I had issues as a child. Anyway, I thought this Glowing Fur Coat and Bra would be something I would wear in the 90’s to a rave. I mean, raves gave you a license to wear Muppet fur and be cool, right?? 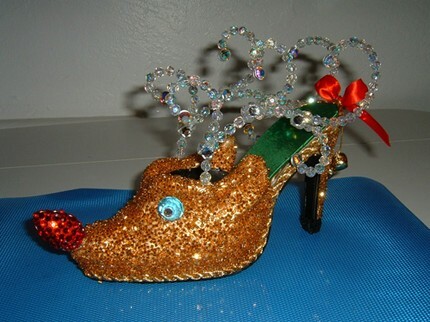 I threw in some Tuxedo Candle Shoes and Rudolph the Red Nose Reindeer Shoes. I thought you ‘d like that.